Book Review Field Trip By Martin Kollar Reviewed by Tom Leininger Martin Kollar clearly describes the facts of Israel, as he saw them. Including a severed head of a porcupine. It is bizarre and out of place and gruesome and you wonder, why was the head cut off in the first place? Garry Winogrand's statement that there is nothing as mysterious as a fact clearly described is embodied in this book. Field Trip. By Martin Kollar. MACK, 2013. MACK, 2013. Hardbound. 76 pp., illustrated throughout, 7-3/4x9-3/4". Martin Kollar clearly describes the facts of Israel, as he saw them. Including a severed head of a porcupine. It is bizarre and out of place and gruesome and you wonder, why was the head cut off in the first place? Garry Winogrand's statement that there is nothing as mysterious as a fact clearly described is embodied in this book. Martin Kollar is one of those photographers whose work lives in the nether world of the strangely familiar. His visual acuity brings back pictures that only he can see. It is reportage of ambiguity. The porcupine head and other images involving medical procedures fit clearly within his vision. Along with a crew practicing rowing a boat on a trailer. Field Trip, by Martin Kollar. Published by MACK, 2013. Kollar takes the reader through an unexpected vision of Israel. When going through the book the first time it felt like the pictures were made in this region, but without captions or a forward, it feels a bit confused. Recognizable pictures of Israel are not initially evident. 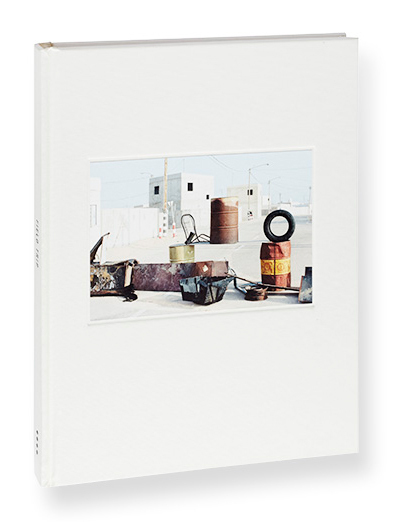 The book is part of a larger series by 12 photographers exploring Israel and the West Bank with the goal of creating a diversity of images rather than a single view of this highly charged place. Learning of the context after viewing the book helps to answer some of the questions the Kollar is posing. A lack of captions or forward propels the viewer into this place that seems familiar and strange at the same time -- a version of life between the major news events. Kollar's sense of humor comes through not only in the pictures but the sequencing. A pair of images shows bees swarming hives, which is followed by an image of a hive-like apartment building. In other places images are paired to extend the frame, one of the most effective showing military exercises from a distance. Time and space are expanded within the pair and distance makes the scene appear like a model. Kollar explains at the end of the book how being in Israel took him back to his childhood in Communist Czechoslovakia. Paranoia came back to him. Paranoia is not entirely evident in the pictures, though there are few pictures of the border crossings. Military training is clearly taken seriously, which then feeds that paranoia. An image of a bride in a small fenced in area with people around her is seen from above, reinforcing Kollar's idea about surveillance.